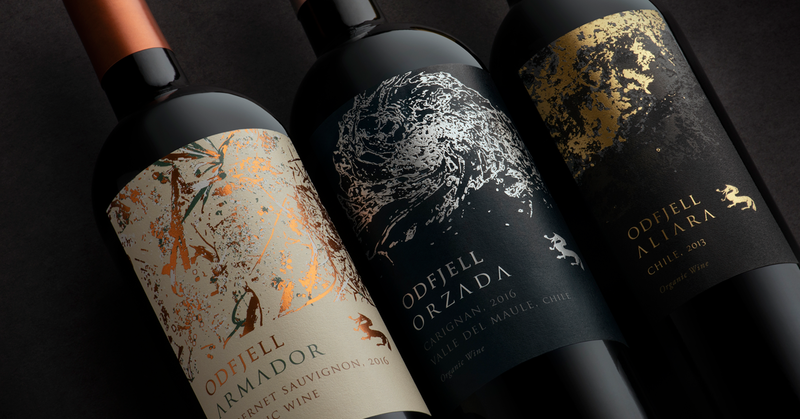 Odfjell, an innovative winery based in Chile with strong Norwegian roots, approached DAf to redesign three separate tiers of their wines: Armador, Orzada and Aliara. Our challenge was to create a highly-premium design that reflected the brand’s values while maintaining continuity with their previous label design. Our three designs reflect the elements of Earth, Fire and Water, which are integral to Odfjell’s biodynamic, organic winemaking process. Created from original high-detail, close-up photography, the label design establishes distinct personalities for each wine while clearly positioning them under the Odfjell brand. The design is characterized by a bold use of texture and foil, far freer and more pronounced than the subtler use of foil generally seen in wine packaging design.